Car Data Recorder(CDRecorder) is a remote auto diagnostic tool newly developed for the DIY. 2, To 24-hourly record the change of the data flow shown in scheme and picture, after the data has been responded from the clients?? terminal. 3, To gain the help from auto experts by importing the data via internet, turning remote diagnosis into reality. 4, Car Data Recorder(CDRecorder) support the cars with OBDII?EOBD and CAN protocol. Firstly, run ??Cardata_Recorder.exe?? directly?see ??softinstall1.bmp?? ?, choose the install route(see softinstall2.bmp). When this done, build a new folder named ? ?Car data _Recorder? ?in the disk which you have just chosen(see softinstall0.bmp). 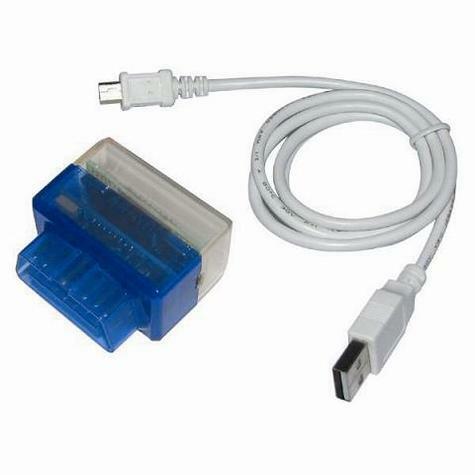 When succeeded in installing the software, use USB to connect Cardata_Recorder with the computer, you will be automatically reminded as the following. 3) The driver has finished being installed and can run now. The Cardata_Recorder software and driver have been installed till now. Normally Cardata_Recorder client terminal software can be run in Windows 2000, NT, ME, XP. If this can not realized, please check if Car Data Recorder does not match with some unidentified USB drivers (such as Printer).In this situation, please download the unidentified USB driver in advance.